I started reading A Slob Comes Clean for decluttering inspiration last year. At A Slob Comes Clean, Dana White aka Nony shares her struggles with keeping her own home under control. I find her writing style witty, honest and insightful. What I didn't know when I started reading her blog was how much I would learn about myself. Here are just a few of the things that I've learnt from this incredible woman. I will walk past something and think 'I should pick that up' or 'I should put that away' but don't take the few seconds to do it. I leave cupboard doors open. I had no idea I did this. That putting the clean dishes away mentally makes it easier to face doing the dirty dishes. Doing the dishes and putting them away is the single most important daily cleaning task. A cleaning routine, followed or not, means I know how long since something was last done and that if things are out of control in my house I don't need to feel overwhelmed, I just need to do the chores for that day on my cleaning schedule and by the end of the week my house will be back in control. Not perfect, but not out of control either, and it is achievable no matter how busy I am or how behind on housework I am. I'm really really really good at excuses. My default response to the question of if I should keep something or not is to keep it. I hold onto stuff because it cost money, and I guess I thought holding onto that stuff meant that money wouldn't be wasted. Somehow the obvious escaped me. Thinking I didn't have time to do something right now had become a habit. I thought I had to do everything from beginning to end or there was no point in starting. I read Dana's blog from the beginning and I've listened to all of her podcasts. Just before started reading A Slob Comes Clean I thought I was doing very well on my own getting my home under control. I thought I would be done decluttering by now. I have made leaps and bounds in my home, and a lot of that is thanks to how much I've learned from Dana. I, like many of her readers, want to share with her how far I've come with her help and let her know I appreciate how much she has helped me, so I've made some comments on her posts here and there to that effect. 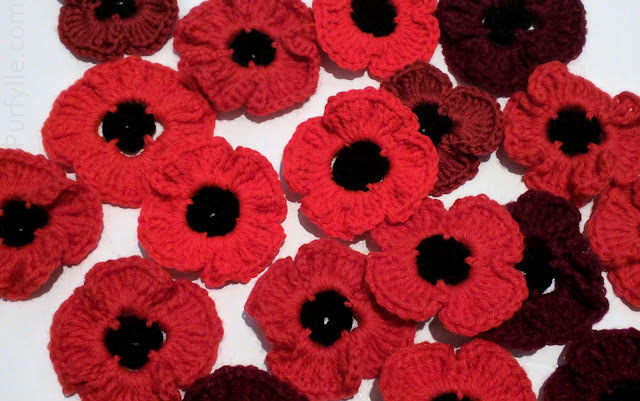 Today Dana shared with her readers one of my comments on her blog. Dana told me she was going to share my comment with her readers. I was so excited and at the same time a little trepidatious. I have been quietly leaving comments on her blog pretending they will never ever be seen by anyone I know and could be really honest about the mess in my own home. Because I knew my comment was going to be featured in a post, I knew in advance that I should update my Decluttering page on the off chance that she might link back here to my blog, but I didn't. I just didn't really think she would mention my little blog. It's not like I was a guest blogger writing a proper article with the intention of being published, she was just sharing a comment from one of her readers with the rest of her readers. I was a little horrified and totally thrilled at the same time, when she did link back to my blog. I scrambled to update some seriously out of date stuff. I feel rather embarrassed by not being prepared. It's like the online version of 'F.O.U.D. (Fear Of Unexpected Doorbells)'. I guess I need to work on some good blog habits too. However it is not only my home that has been changed by what I've learnt but also my blog. If it weren't for Dana I would never have started just sharing my daily life, and I would have had nothing to write about because creative projects were put on the back burner while I sorted out my home. 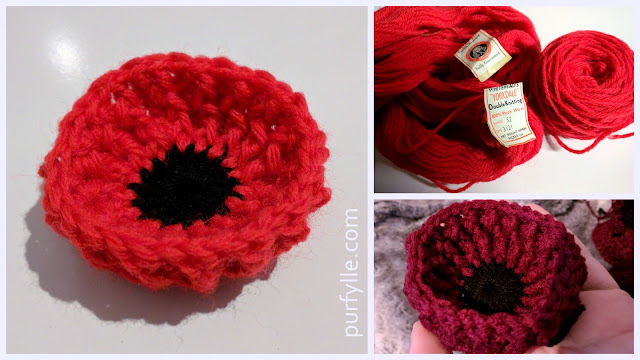 I didn't start this blog with the plan to share my decluttering adventures, Purfylle was going to be about sewing projects and the odd yarn craft. One day I realised that Purfylle was about embellishing life, my life, and that I should write about that. That was a year ago almost to the day and you can read about it here. And that is the day I truly consider the start of my blog. So it seems rather fitting that a year later here I am celebrating my 'not quite blogiversary' with a featured comment over at A Slob Comes Clean. I really had no idea what blogging entailed back then, I didn't realise that there is a lot more to blogging then just writing a few words on the page. Just like I didn't realise that there is a lot more to getting your home under control then getting another storage shelf. Stella, this is petfect. Nony taught me the same 10 lessons. Love her. Your decluttering posts inspire me too. Happy not quite blogaversary. Oh, they definitely are!! And I absolutely love all your comments on mine. I wish I could give you a biiiiig hug! I love hugs. I can tell you give good ones too. Thank you so much Tasha! 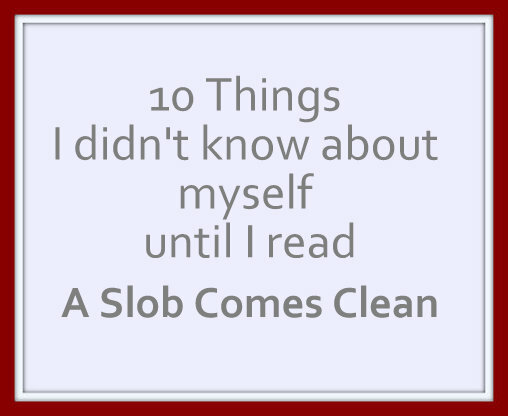 A Slob Comes Clean is the only blog I have ever read cover-to-cover so to speak. I hope you enjoy it too. Just found you on Nonny's blog. Do you have a fb page? It would be great to follow you as well! OMG. I think I have to start decluttering. Thos10 points listed above hit me really hard, and yes, I have a great fear of unexpected doorbells ;-) Thanks a lot for sharing! I know right? I'm still embarrassed.